You will earn 22 WayPoints for each product that you purchase. These Unfinished HO, 16' (4.9m) white pine wood cross ties were produced by Mt. 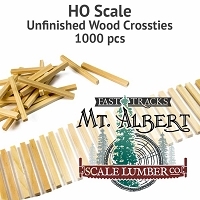 Albert Scale Lumber for many years, however they do not match the size of Fast Tracks products. For this reason we do not include them with our regular line of wood ties we offer. Only order these ties if you are certain these are the sizes you are looking for. 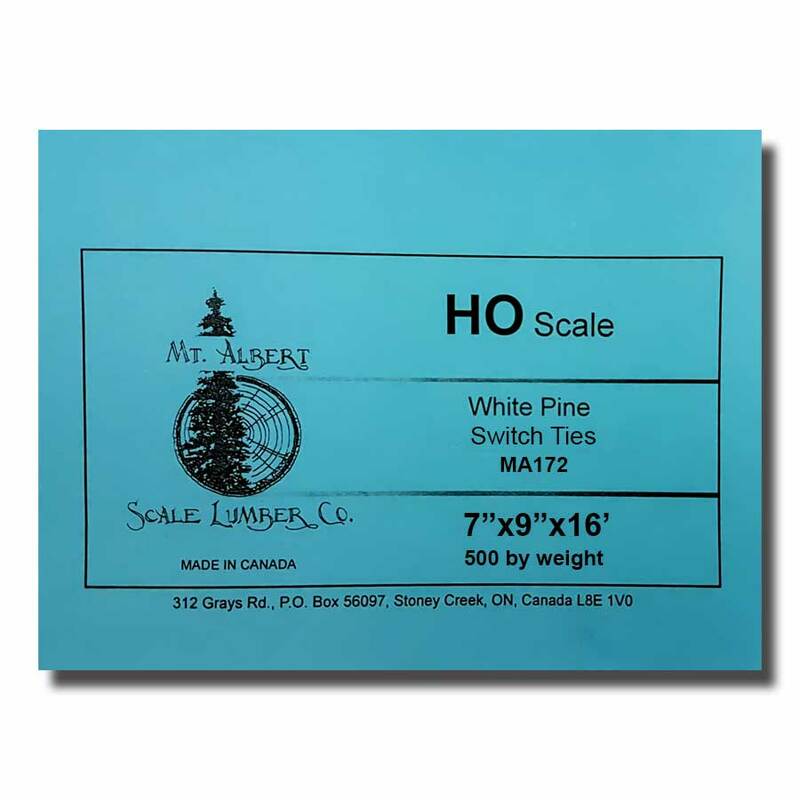 HO Turnout Ties 7x9 - 16 Feet Long (0.08 x 0.103) 500 ties per bag.